Custom fields Joomla doesn't appear when we edit an article in the front-end. Themler does not manage them? Have you a solution for this problem? Is the issue still present? I'm not talking about Virtuemart, but native features of joomla. 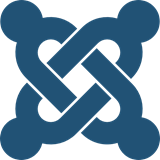 Joomla allows you to add custom fields to articles. When editing articles on the front-end, these fields do not appear. Could you help him solve this problem?